IMS has built a diverse client base, large and small, because we deliver high-quality, durable and long-lasting American-made products. Visit our Product Gallery. 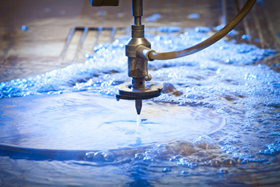 Let Illinois Manufacturing Solutions expand your machining, metal fabrication, laser applications, waterjet systems, powder coating and processing potential with our Innovative & Cost Efficient Solutions. 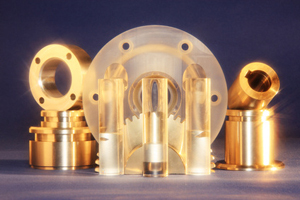 A growing number of purchasing professionals from a variety of industries rely on IMS for High-Precision Processing of prototypes, components and full projects. IMS uses the latest manufacturing technology and an experienced domestic workforce to deliver high-quality products with a sustained service life. Illinois Manufacturing Solutions will help you attain your production processing goals on time and on budget using state-of-the-art technology, 3D modeling and the latest CAD/CAM software design programs that will expedite a dependable American-Made Product that is cost-efficient. We work with all metals, alloys and the most common non-metals. 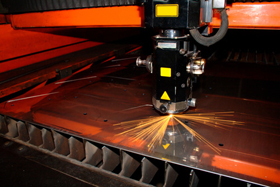 Source your custom manufactured parts with IMS and get the job done ON TIME EVERY TIME. IMS has a Consultant Customer Service approach that has developed a loyal client retention. IMS manages your production process with problem solving, innovative solutions, course corrections and adjustments in scheduling/engineering specifications that insures routine due date performance or short lead times. Request a Quote from IMS Today! IMS's recent growth has been fueled by our ability to enable our Midwestern partners the Benefits of Near Sourcing. Located in Peoria, Illinois next to major rail/road/air freight transportation and within a couple hours of Chicago, St. Louis and Indianapolis, that allows our customers to move supply closer to demand and R&D facilities which results in better service, quicker turnaround time and inventory agility. It adds up to reduced costs. Read our company blog about reducing your Total Cost of Ownership (TOC) and get a FREE manufacturing cost-analysis software program from the ReShoring Initiative. Let IMS give you a free consultation and quote on your next job so we can add you to our list of satisfied customers. 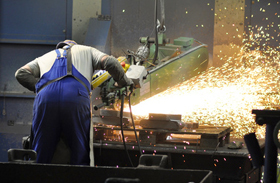 Manufacturing Solutions for Your Company!